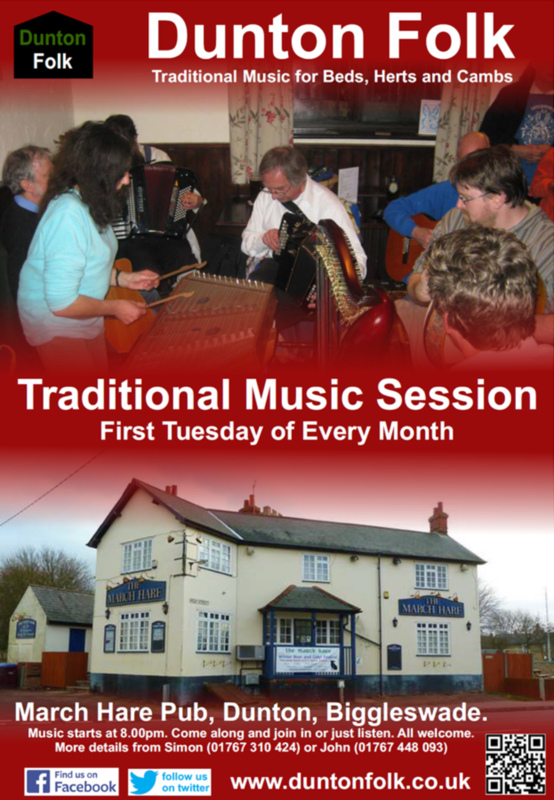 Traditional music sessions are held on the first Tuesday of every month in the March Hare pub in the centre of Dunton. The sessions are informal and open to all to come along and join in, or just to listen. There is nothing better than getting together with other musicians in a warm and welcoming atmosphere to sing and play the night away. The music starts at 8.00 pm (ish). For further information give Simon (01767 310 424) or John (01767 448 093) a ring, or drop us a line at duntonfolk@hotmail.co.uk.